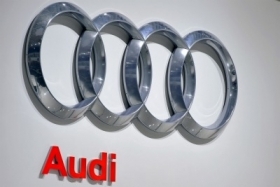 MUNICH -- Volkswagen AG luxury brand Audi plans to create 10,000 jobs globally through 2020, CEO Rupert Stadler said today, according to the prepared speech for the company's shareholder meeting in Neckarsulm. Last month, Stadler told Automotive News Europe that Audi will need to increase its global head count by more than 20 percent by 2020 to keep pace with rapid sales gains. "Our sales growth goes hand in hand with additional production capacity, products and people," Stadler told ANE in April. "Last year we employed 58,000 globally. By the end of the decade it should be 70,000." This year Audi will hire 1,200 new employees worldwide and also bring more than 200 contract workers and 700 apprentices on board as employees, he told ANE. Earlier this month, Audi announced measures to ease waiting times for models including the Q7 SUV. Audi plans additional weekend shifts this month at its two main German factories to increase production, CFO Axel Strotbek said. "The extra shifts are required by the good order book," he said. "The delivery times of several models are higher than we'd like." On Monday Audi announced it sold 109,400 cars last month, a 13.2 percent increase, to remain ahead of rival Mercedes, which reported last week that its April global sales grew 8.2 percent to 100,703 units. Both luxury brands were topped by BMW, which sold 113,078 cars in the same period, a rise of 14.8 percent over 2010 figures.